Heart 104.9 FM Listen Live Online . 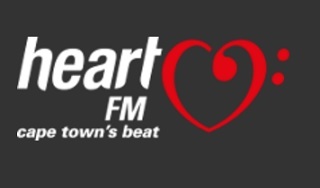 Heart 104.9 FM is a 24 hour music radio station, situated in Cape Town, known as Cape Town's Beat. The station has more than 634 000 listeners weekly with its mix of jazz, soul, pop, old school, house and disco – a perfect mix of old and new. Listeners are also spoilt for choice with intelligent talk and entertainment spanning across shows. It broadcasts in English and Afrikaans Languages.